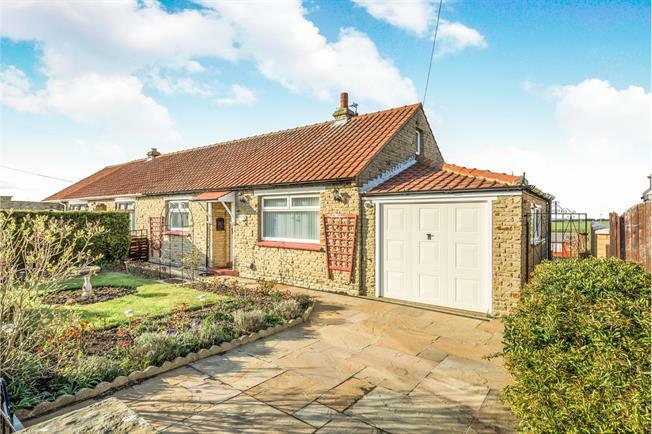 2 Bedroom Semi Detached Bungalow For Sale in Whitby for Guide Price £225,000. The property benefits from having a lounge to the front and a contemporary kitchen to the rear leading to a pretty sun lounge, a delightful place to sit and admire the extensive views across the fields to the sea beyond. There is the addition of a second bedroom on the first floor with two Velux windows to the rear, making the most of the panoramic open views. Internal inspection highly recommended.